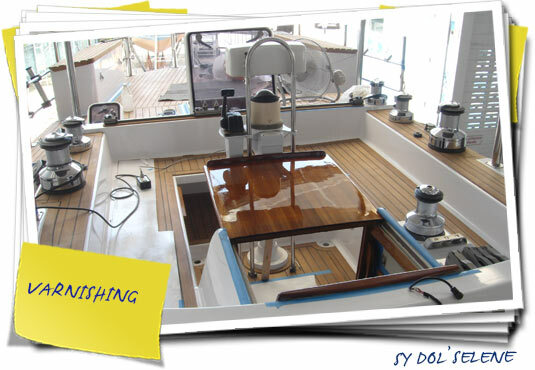 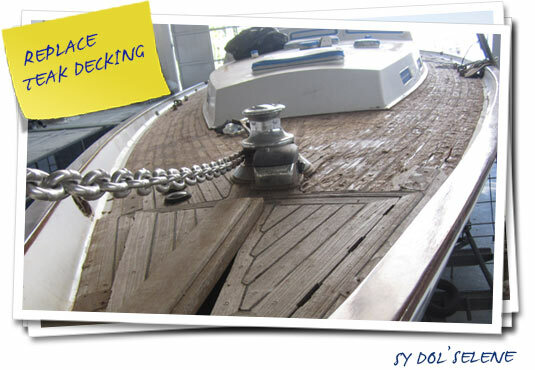 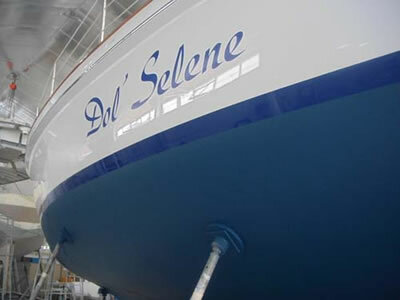 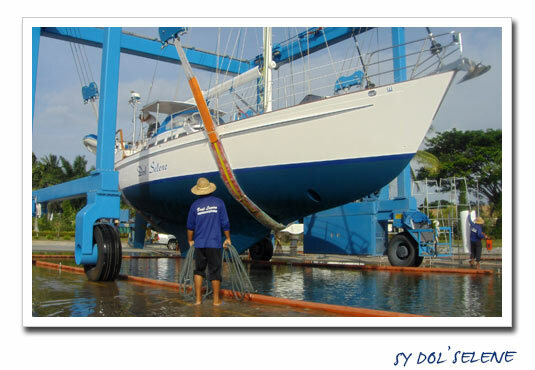 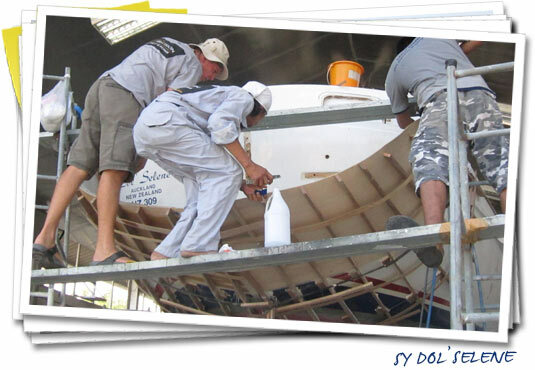 SY Dol’ Selene was built by Brent Saunders and the owner. 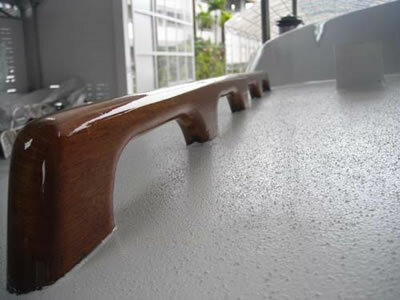 The construction is three skins of New Zealand Heart Kauri timber over kauri laminated frames. 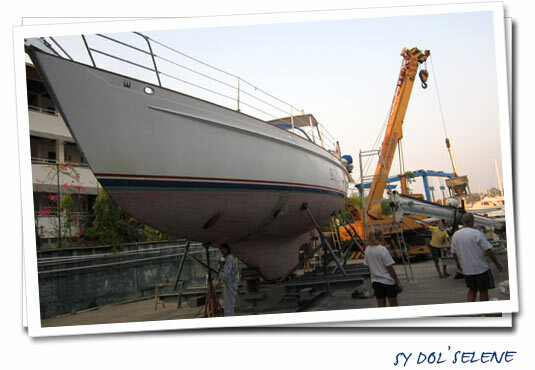 She was launched in 2004. 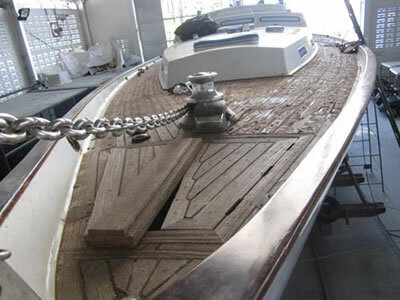 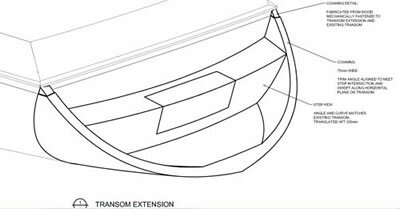 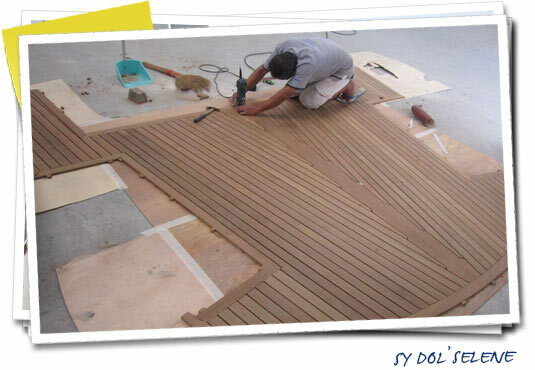 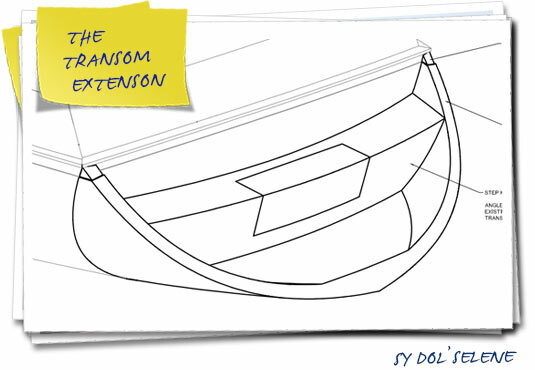 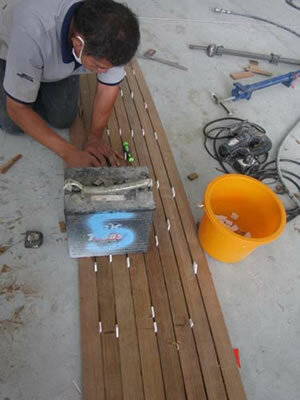 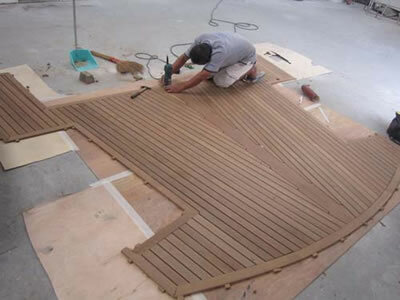 The strip-planked Alan Warwick design Dol’ Selene came to Precision Shipwright Services mid March for some major work. 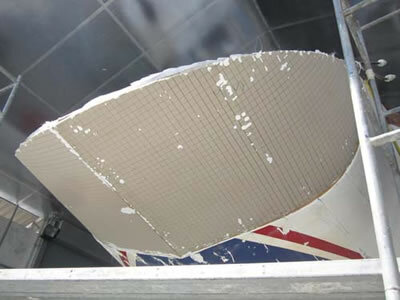 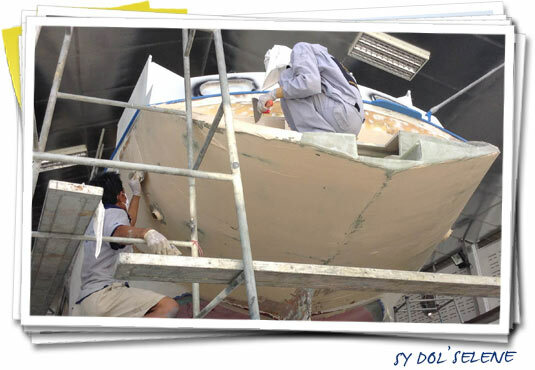 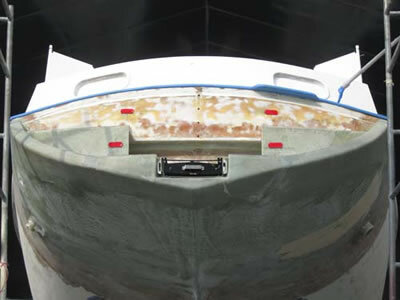 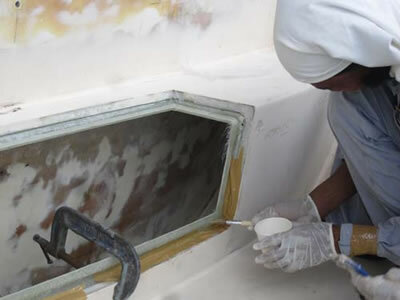 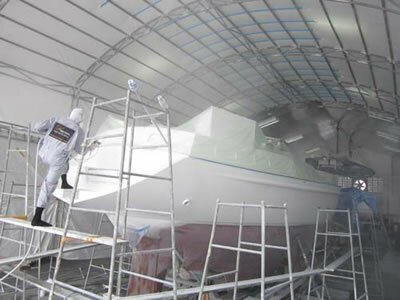 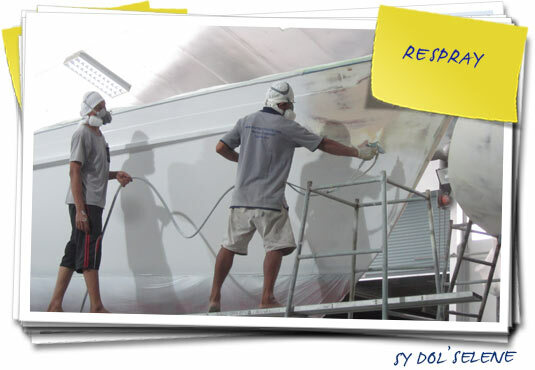 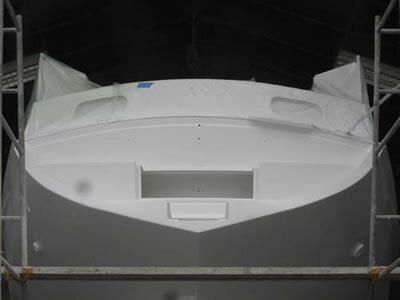 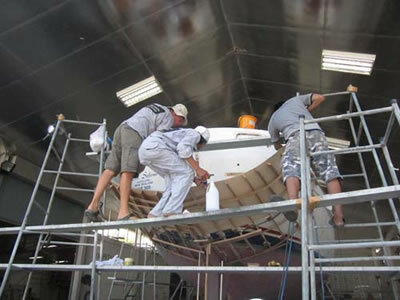 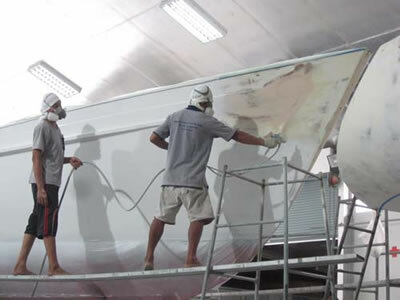 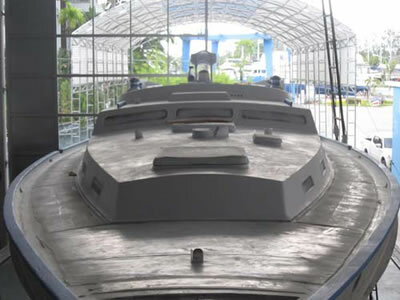 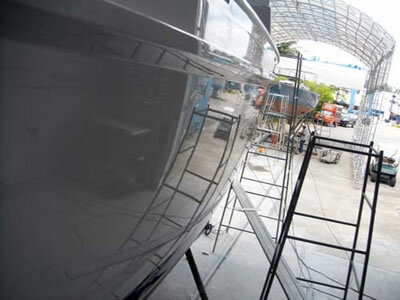 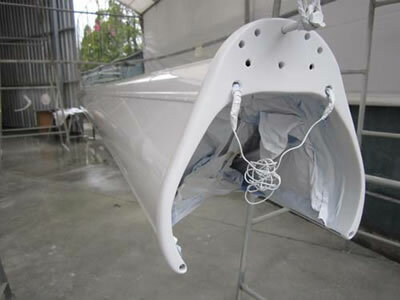 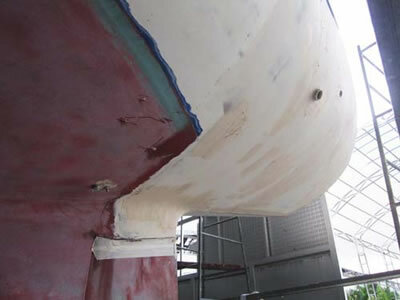 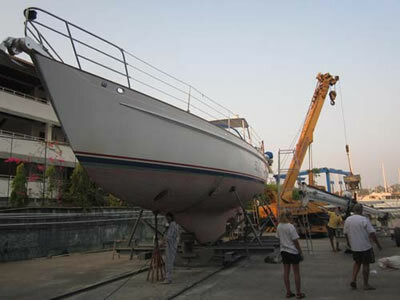 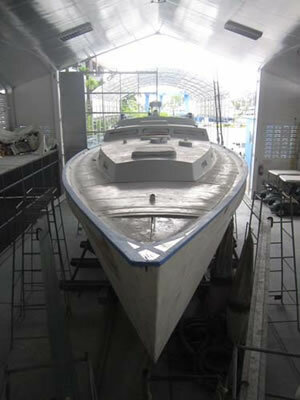 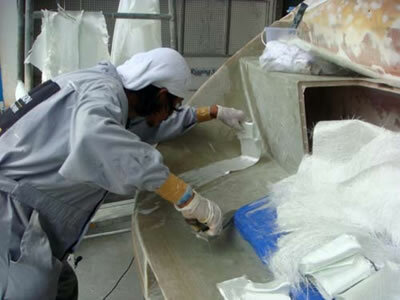 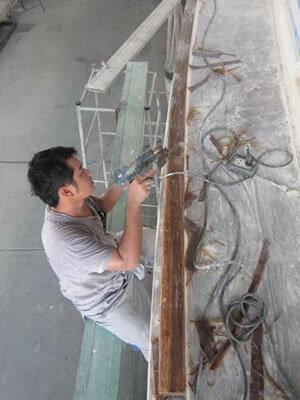 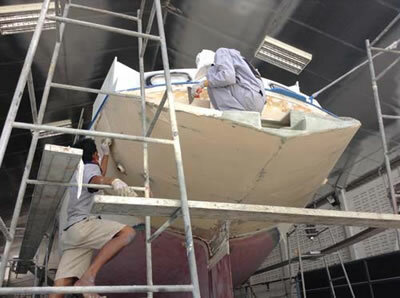 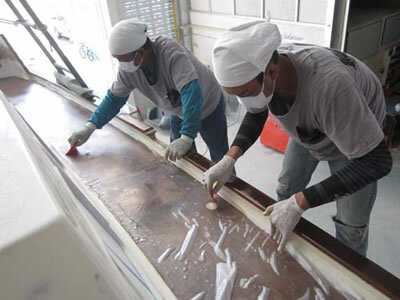 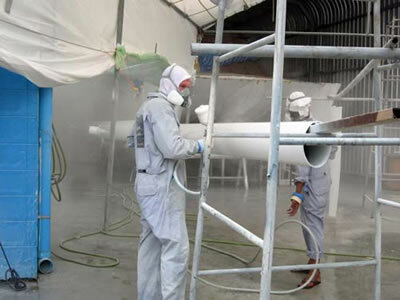 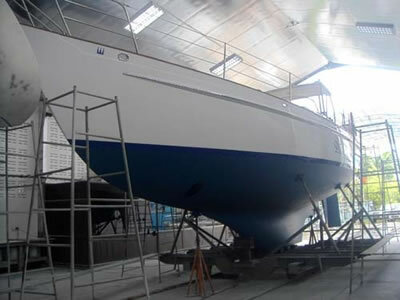 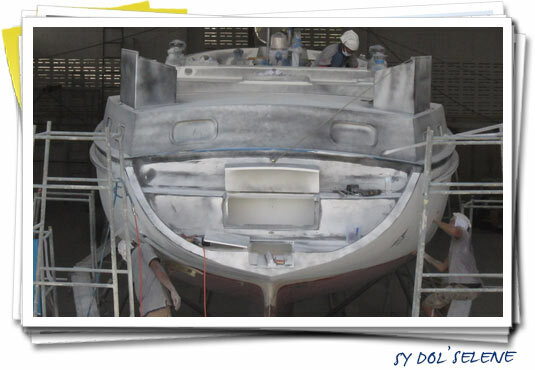 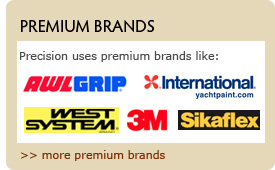 The hull and deck were resprayed with AWLGRIP Snow white and a composite transom extension was added. 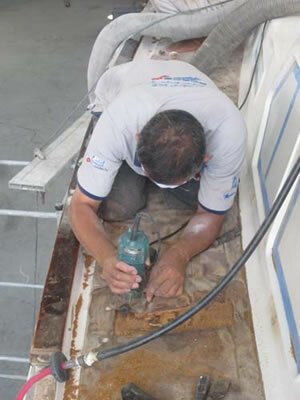 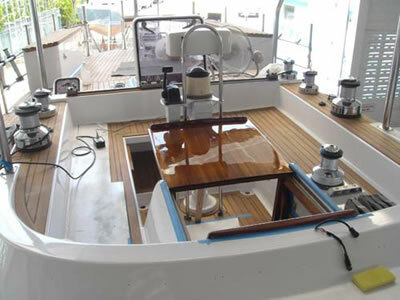 Exterior varnished, replaced teak decking, laminated new teak surfaces onto the cabin sole, antifoul and other maintenance work was carried out. 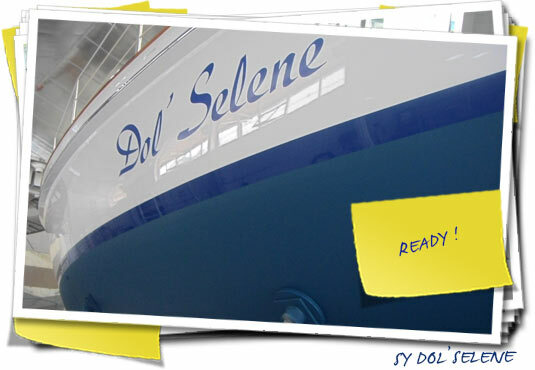 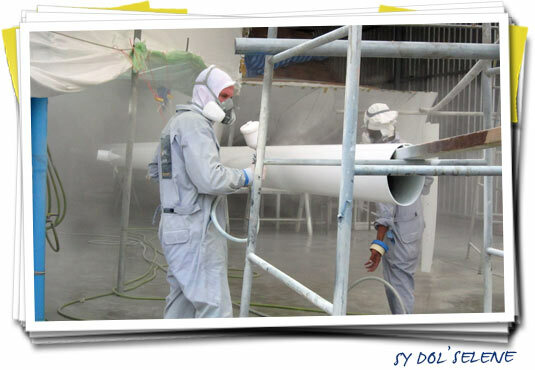 Image Gallery SY Dol'Selene: click on any thumbnail to start a slideshow.